The Risk Aspects table shown below is attached to the Risk Assessment Form. This table can contain an infinite quantity of risk aspects. The RPN is calculated based upon the impact value of the probability (P Value) * severity (S Value) * detection (D value). 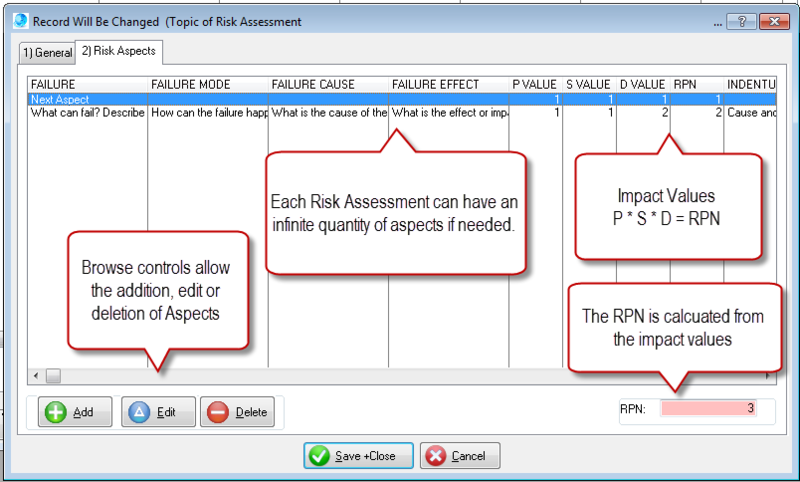 The Add, Edit and Delete controls are linked to the Risk Aspect Form. See the Terminology used in Risk Assessments.